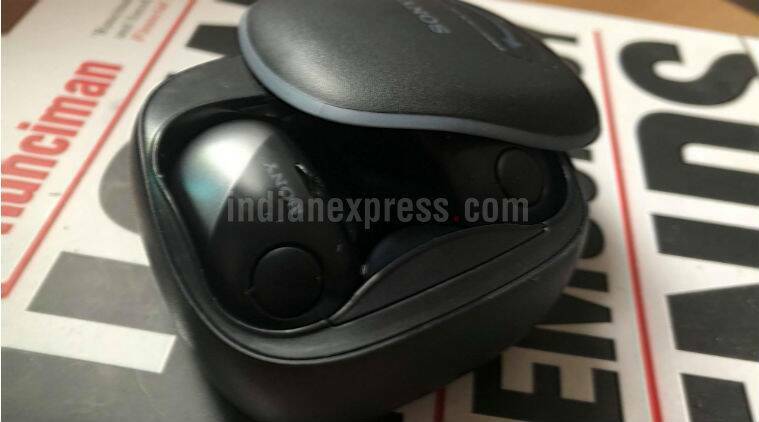 Sony WF-SP700N review: The Sony’s WF-SP700N are compact earbuds that connect wirelessly to your smartphone, charge off a dock similar to the Apple AirPods charger case. 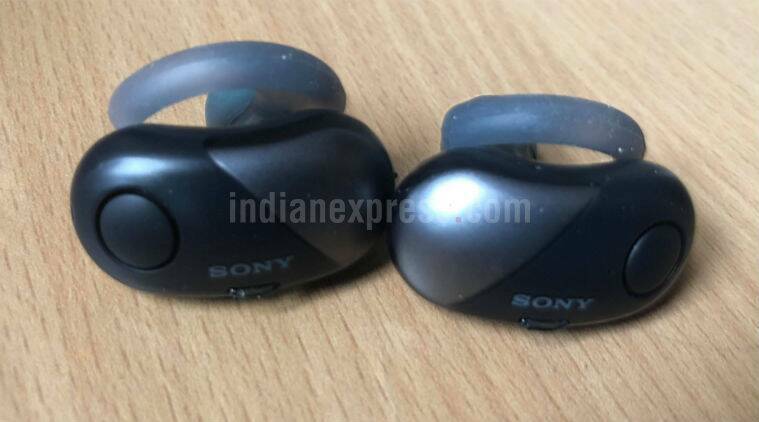 It was just a matter of time before Sony, given its history in the audio segment, jumped on the wireless earbuds bandwagon popularised by the Apple AirPods and Samsung Gear Icon X. The Sony WF-SP700N plays to the same gallery with compact earbuds that connect wirelessly to your smartphone, charge off a dock and integrate with a virtual assistant. The Sony WF-SP700N earbuds are the shape of large kidney beans and charge is a small dock that comes with a slide-open flap. The buds start pairing as soon as you take them out of the dock and connecting is really easy. You can download the Sony Headphones app for more control, like preset modes, battery status and ambient sound modes. This makes life a lot easier, given that the button on the buds don’t give a lot of feedback and your really don’t know what’s happening. Also, there are fins on both earphones that give it a perfect fit inside your ear. And whatever you do, they wont fall off. However, the fins needed to be folded in every time you have to put the earbuds in the dock, which I don’t think is a good idea. Also, I fear there will be considerable wear and tear on this silicone if this is done over a period of time. The big advantage of the Sony WF-SP700N, however, is that it comes with noise cancelling, which is still very unique in this segment. There are other ambient sound modes too, which help you be aware of what is happening around you and not be fully cut off. The noise cancelling is really good enough for you to concentrate on work, or your music, in a noisy Air India flight. In fact, I might be tempted to wear this in office to cut the noise off. The Sony WF-SP700N earbuds are the shape of large kidney beans and charge is a small dock that comes with a slide-open flap. The audio quality of the Sony WF-SP700N is good, though a bit heavy on bass like other Sony headphones. Sony somehow seems convinced that heavy bass is the only way to go in India. Thankfully, the app lets you change the modes and get more treble. Still the experience of using the Sony WF-SP700N it very satisfying. I listened to a new collection of acoustic covers and really loved every moment of it. Not for one second did I think I was listening to this music on wireless earbuds. And thanks to the control on the app, this set fits everyone at the end of the day. You can listen to your music the way you want to. The Sony WF-SP700N also comes with access to Google Assistant built in when you were using it on Android phones. Though this feature has been becoming very common over the past few months, at a personal level I have not really used this much. But then I am not some one who calls out to Siri for help on the Apple AirPods either. You can also make calls on the Sony WF-SP700N. The audio is clear though a bit too spatial. There is one peculiar problem too. When you are streaming video, the audio lags behind. There is no issue while playing video stored on your phone. This could be because of the delay caused by noise cancelling. At Rs 12,990 the Sony WF-SP700N is a good option for those who want to go wireless. The noise cancelling undoubtedly makes it a better option than similar products out there in the market. However, do compare the product only after looking at the discounts available on some of the rival products.